New York City is home to the High Line Park, an aerial garden that stretches out nearly 1.5 miles. It’s an elevated patch of the now defunct New York Central Railroad that was repurposed to be a linear park. 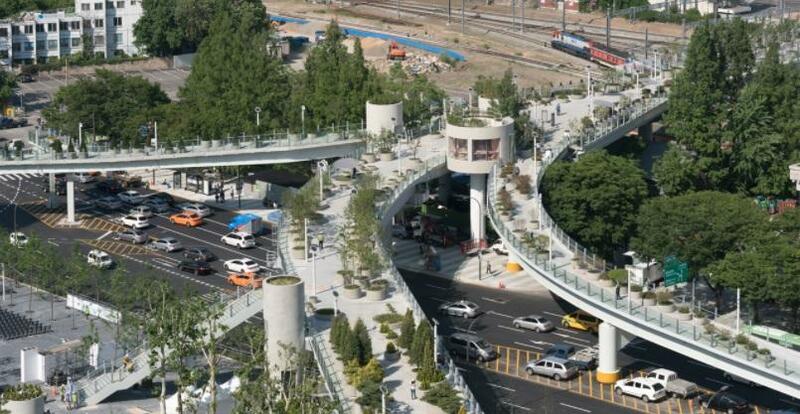 A similar process was done in Seoul, South Korea, to transform an old highway that hovers on top of the city. 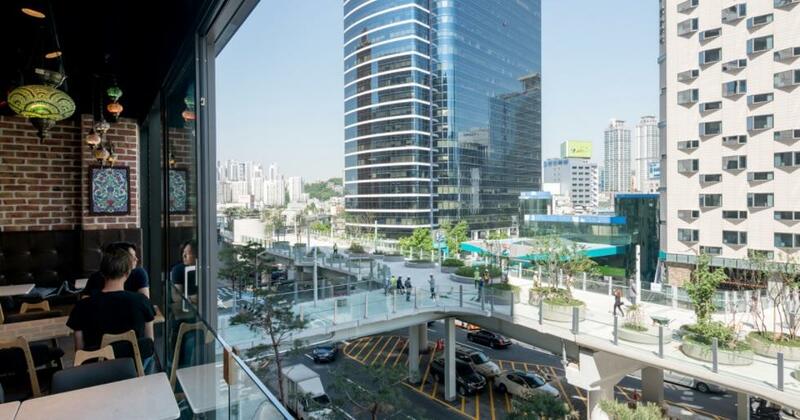 This newly transformed road is located above the Seoul Station. It connects local neighborhoods to the Namdaemun Market, also known as the “Great South Gate.” This is where the oldest traditional market of Korea is located, which started all the way back in 1414. It’s been renovated many times in the past due and has been under fire three times in the 20th century. “Seoullo” essentially translates into “towards Seoul,” and the 7017 number is a combination of two dates. The “70” represents the 1970 year that the highway was first constructed. The “17” accounts for 2017, the year that it becomes an aerial garden. A unique aspect of the landscape is that it’s arranged based on the Korean alphabet. It shouldn’t be treated as a collectively big garden. Instead, each area has its own theme. As expected, plants and trees will change based on the seasons throughout the year. The new garden is an attempt to include more greenery in the city area and to attract more citizens and tourists. It’s a complete walkway that’s filled with local stores and coffee shops. The old highway can be lit up at night and usually has a blue color illuminating all the plants. However, the color can be changed based on special events in the area. The sustainable architecture group has been involved in many other works across the globe. They’ve added over 500 new apartments in the downtown area of The Hague, located in the Netherlands. They’re also in the process of creating an art depot in Rotterdam, which scales at over 160,000 square feet and will hold over 70,000 different art projects.